This Black Friday JAMMIN’ 101.5 wants you to decide! 70’s or 80’s? RONNIE RAY-GUN & THE BIG EIGHTIES BAND! 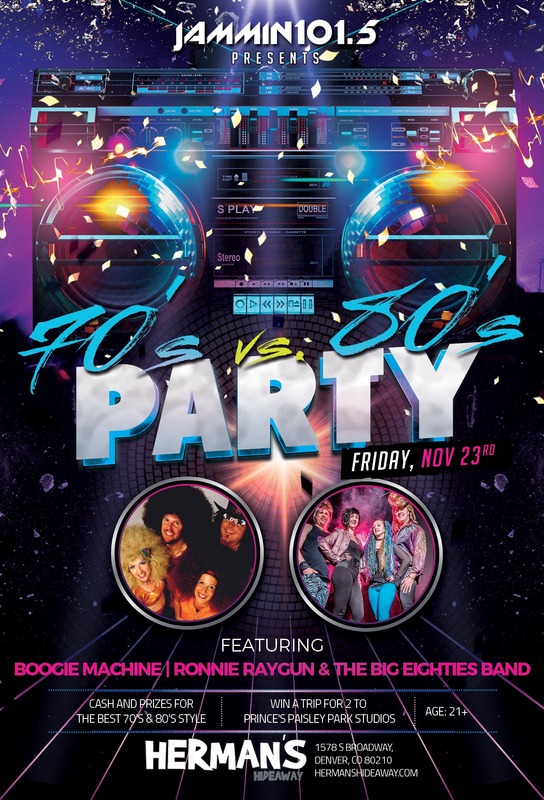 Cash and prizes for the best 70’s & 80’s style, so wear your throwback outfit! Prince’s Paisley Park Studios in Minneapolis!